Fulham missed an excellent chance to push into the Championship play-off positions after a 3-1 defeat to Wolves. The victory helped the visitors earn their third straight win, and with it a further push away from the relegation zone. Goals from Ivan Cavaleiro, Andreas Weimann and Dave Edwards ensured victory, with substitute Denis Odoi scoring for the home side. Scott Malone was dropped to the bench after starting against Blackburn in the week for the hosts. Visiting manager Paul Lambert made two changes to the side that was victorious in their previous visit to west London, against Brentford last week, with Cavaleiro and Ben Marshall replacing George Saville and Nouha Dicko respectively. Fulham started brightly, with Neeskens Kebano just poking his seventh-minute effort wide. However, although the home side had more of the play after that, efforts for either side were few and far between. The first real chance fell to Kevin McDonald after 28 minutes, when the midfielder put his header wide of the post, following a cross by Kebano. The deadlock was broken by Wolves after 34 minutes. Helder Costa was able to break free in the box, and squared to Cavaleiro to slot home from the six yards. 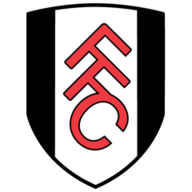 Although Fulham attempted to regain a foothold in the game, they should have done better just before the interval when, having found himself in a good position, Sone Aluko shot weakly at goalkeeper Carl Ikeme. Gohi Cyriac, who netted against Blackburn earlier in the week for Fulham, came off the bench after the break to replace McDonald. 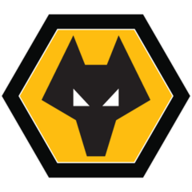 The change did little to stem the Wolves tide, and the lead was doubled three minutes after the restart, when Conor Coady passed to Weimann, who fired home a curler from 14 yards. Slavisa Jokanovic made his second substitution of the day, with Odoi coming on for Ryan Fredericks, and he made an immediate impact, his 54th-minute shot from outside the box too much for Ikeme, to put the home side back in the game. Wolves restored their two-goal advantage after 72 minutes, when Edwards prodded home from six yards out, after collecting a pass from Costa. Scott Malone came on to replace Ryan Sessegnon for Fulham, as the game - and their opportunity to get in the play-off places for now - disappeared away from them. "We started well, we moved the ball and we created some chances, but we made one very big mistake. The second half, we tried to take more of a risk, but they scored a second which killed us. It's not easy when you are two goals behind to get a good result. "After playing well against Newcastle, it's part of football. We believe we can make one step and be in the top six before the international break. We didn't do well enough, we were not fresh and solid enough, we gave them some charity presents during the game." "I thought we played a terrific game, with intensity and a game plan that worked, and we looked a threat every time we went forward, against probably the best football team in the league. "Helder Costa has been fantastic, I think he had a little spell where he went off the boil, but the last few games he's been at his best. You beat Liverpool, Stoke, Villa, and other big teams, and everyone thinks great, but you lose a few games and it's carnage. "The one thing that never left the players was confidence, I don't think it was missing because we dominated games and possession, but all we were missing were goals."